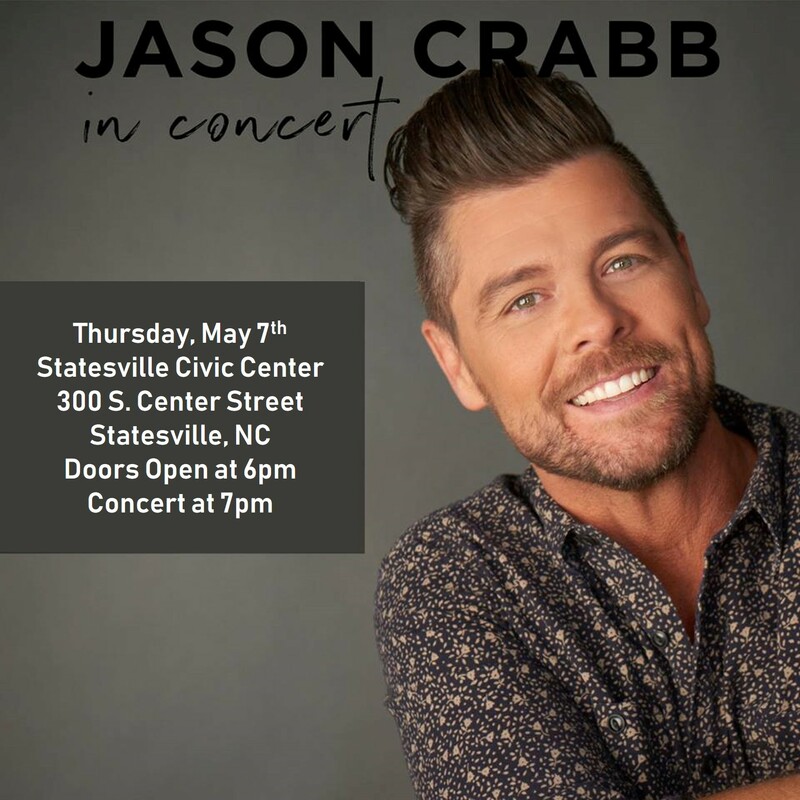 See Jason Crabb LIVE in Statesville, NC at the Statesville Civic Center, 300 S. Center Street, Statesville, NC on Thursday, May 7th, 2020! General Admission Tickets are $25 each. Doors open at 6pm, Concert Begins 7pm. Artist Circle Tickets are $30 each and include early entry at 5pm, preferred seating in first two rows, and a brief Q&A with Jason at 5:30pm. These tickets are limited.